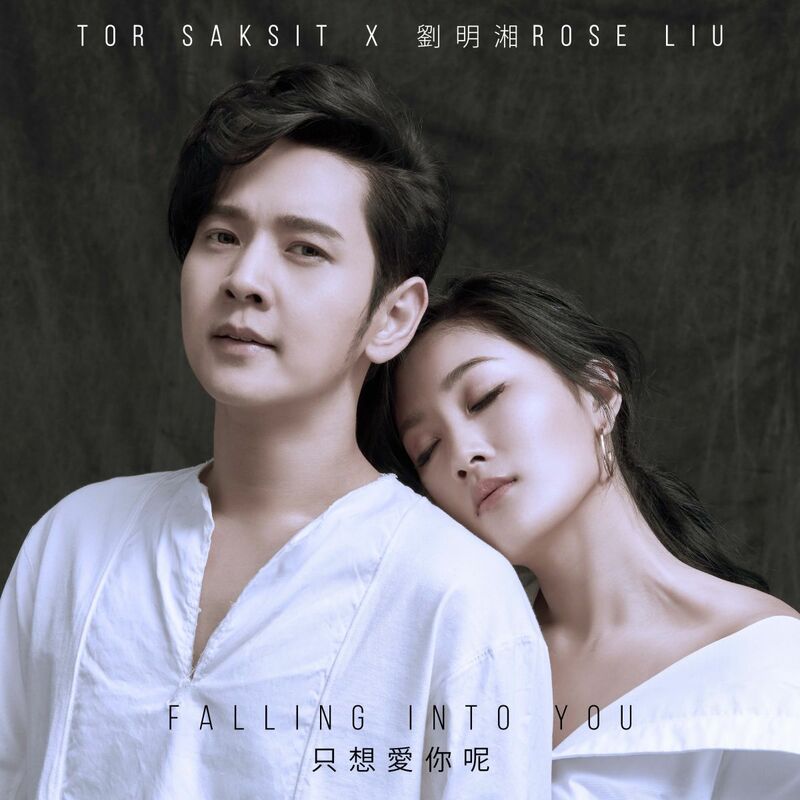 “Falling Into You”, is a love song collaboration by Tor Saksit, a singer, pianist and song writer from Thailand, and Rose Liu, known as ‘The Voice that Cures Insomnia’, from Taiwan. This song, originally in English and co-written by Tor , has now been recorded as a romantic love song in Chinese. Tor speaks fluent Mandarin. “Falling Into You”, was recorded in Taiwan and produced by Victor Lau, a well-known music producer and composer from Taiwan, who has worked with Meteor Garden’s Vanness Wu and many other successful artists. Tor Saksit is a Thai singer, pianist and song writer. His official solo debut album called Tor Living in C Major, was released in 2007 and was an immediate hit. Leading the success of the album was the smash hit single “Rak Thur”. In 2008, Tor won the ‘Thailand Favorite Artist Award’ at the MTV Asia Awards held in Genting, Malaysia. Jin. The song, written by Tor, is called “Waiting For Love (等等愛)” and was released by Sony Music China on July 4th, 2017. He also performed the duet with Joshua at the official showcase in Beijing, to launch Joshua’s album. Moreover, he released his first solo single with SME China, called “Promised Journey (約定旅程) ”, followed by his second solo single “住進你心裡(Closer To Your Heart)”during 2017. 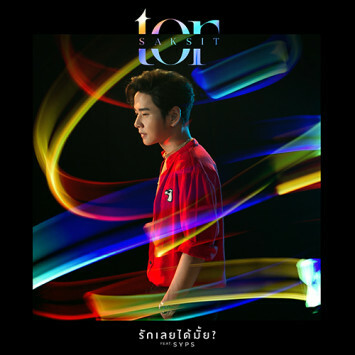 During a songwriting camp at Karma Studios in Thailand, Tor co-wrote a beautiful ballad entitled “Falling Into You”, which he has recorded in English, with Ivory Music Philippines star, Maja Salvador. Tor also now recorded “Falling Into You” in Chinese language, with the “Voice of China” star Rose Liu. “Falling Into You” will be released in China, Taiwan & Hong Kong by Sony Music, to coincide with White Valentine’s Day 2018. The music video for “Falling Into You”, was shot in Taiwan’s gorgeous Black Forest, famous as a location for pre-nuptial photos and with the forest shrouded in mist, created some beautiful scenery for the filming of Tor & Rose’s video. Rose Liu, known as ‘The Voice that Cures Insomnia’ was born in San Francisco, California, USA. After graduating from New York University, she studied Mandarin in preparation for a career in Taiwan. Rose left home and traversed the Pacific Ocean with a passion for music in her heart. Rose participated in three major singing competitions in Asia - Taiwan’s One Million Star and Million Star Star Legend, as well as The Voice of China. Throughout her performances, Rose garnered praise from the likes of celebrated celebrity Matilda Tao and renowned record producer Eric Chen, for her outstanding singing ability and perseverance. With much anticipation, in October of 2016, Rose released her debut album “Judge Me Not”. As a composer, Rose wrote and recorded her own music, which includes the song “When the World Is Silent”. Aside from her own compositions, Rose has also collaborated with multiple songwriters and producers gaining the attention of many figures in the industry.